Mark’s away at the Dutch PHP Conference where (apparently) he’s talking to people about cats; but while he’s away, I’ve had the most incredible, incredible news. It’s really been a very busy day here. 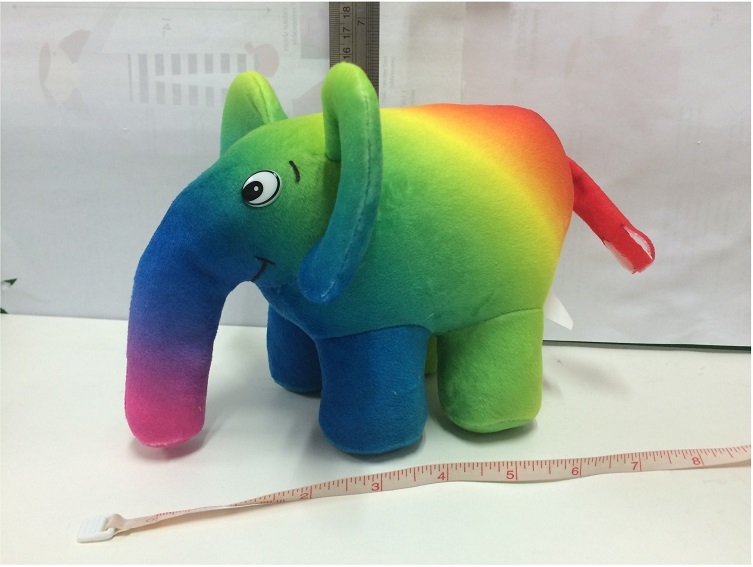 Not only is there a new PHP User Group in Denmark, PHPJutland, that’s only just been announced today – waving “hello” to all my new Danish friends; and I have a new cousin to welcome to the family of Elephpants; but I’ve also seen the real me… I mean, I haven’t actually seen the “real” me yet (my eyesight isn’t good enough to see half way round the world, and the real me is still at the factory in China), but I have seen photographs of the real me, and that’s nearly as good, because it means that a real me now exists in the real world. I am now officially a prototype! And I’m so excited about seeing me for the first time ever, that I just have to share some of the photographs with you all to show you what I look like. Of course, I don’t yet have my toes on in the photograph, nor do I have my PHP logo yet (it’s going to read “PHP” rather than “php7” because I’m inclusive, irrespective of the version of PHP that people use): they’re not on me yet because the objective of these pictures is to show the colour toning across my whole body. And far be it from me to blow my own trumpet; but I think I look pretty good. I mean, wow! If you look at Peter Kokot’s original photo-shopped image of what I might look like (below) and compare it with the photograph of me (above), then you can see the likeness; and I really do find it quite astounding. Perhaps I could use a slightly broader band of yellow, and my legs look a little bit solid in their colouration (although that’s very minor, and I can understand why), and perhaps the colour banding in my trunk could be slightly more “angled”, and my behind doesn’t look quite right yet – I’d prefer not to how a photograph of my rear end to show you what I mean, so you’ll have to take my word for that – but I believe that I look incredibly like Peter’s original ideal… and I hope that he does too. I just hope that I live up to the ideal of Diversity within the PHP Community that he expounded. I really think it’s important that each wave of colour blends and merges into the next, so that all different shades are represented in me, because that’s what I’m all about. 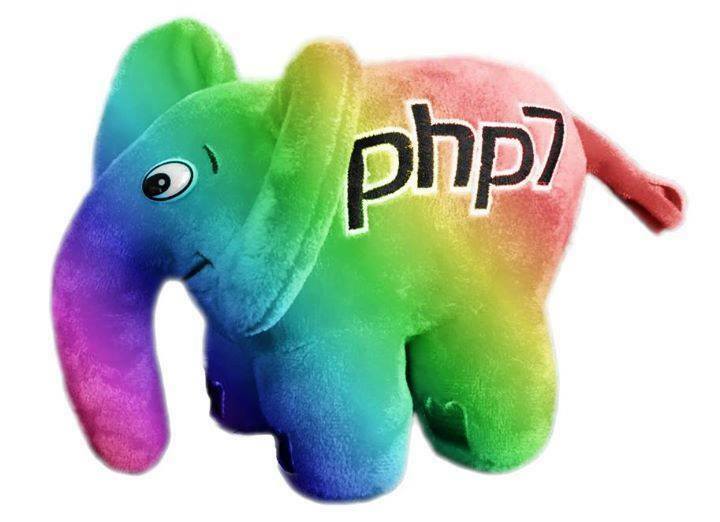 I am all colours for all people; regardless of race, gender, sexual orientation, gender identity, age, nationality, religion and technology; and yet all are still part of the worldwide herd of PHP Developers. And that ingenious heat transfer method really seems to have achieved that, which I think is incredibly clever of the people who have brought me into being from just a photo-shopped image, a spark of inspiration, and a sense of equality and Diversity. So for now, I’m just a prototype, and I’m still waiting to see that first “real” me in the flesh (so to speak); and apparently there’s still a lot of administrative work that needs sorting out before I can multiply and spread my message of Diversity within the PHP Community across the world; but it feels like such a big step toward achieving my dreams that I really had to share it with you all. Now that I feel my dream of reality is progressing so well, I shall (hopefully) be posting more regularly to keep you up-to-date with all my news. 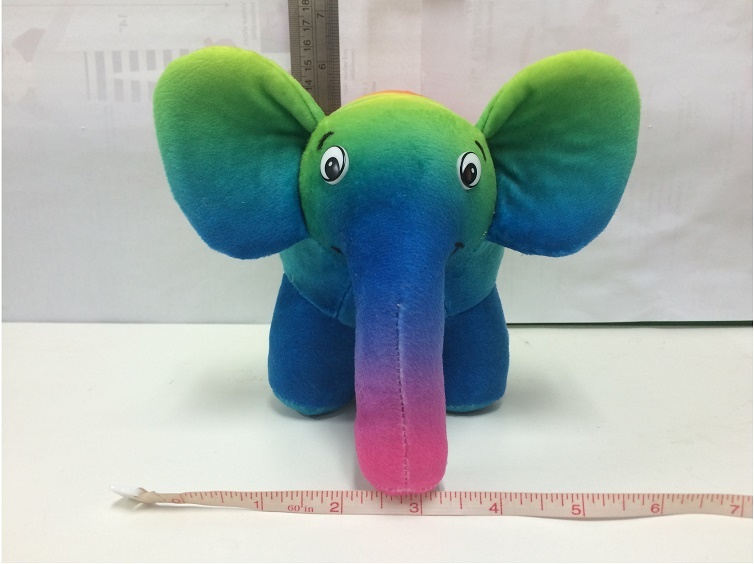 Thank you all for reading these ramblings of a Rainbow Elephpant, and I hope that you all have a great day whatever timezone you’re in. This post transferred from a post originally made on the blog site at markbakeruk.net on 24th June 2016.